The theme letter for our ‪‎travel pics this week is U, for Under. For Friday, it’s Under the Golden Gate bridge, in San Francisco. 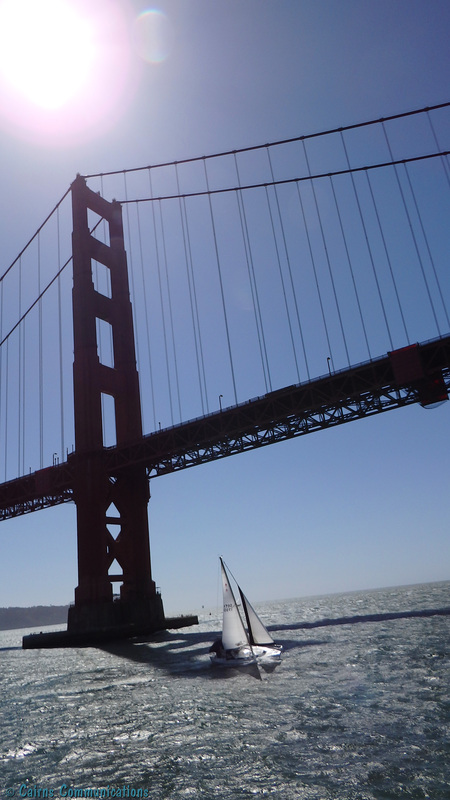 One of the most iconic structures in the world, the Golden Gate bridge connects SF proper with Marin County – and has done so since 1937. It’s 1.3km main span was the longest in the world for decades – and it remains one of the most photographed bridges anywhere. Often shrouded in fog, the day this picture was taken it gleamed in the sun, providing a playground for water-craft of various sorts – including this sailboat, plus kiteboarders, motor boats, and the ferry we were on, cruising San Francisco harbour.